The Yves Behar-designed Juicero juicer has been slammed on social media after it transpired that a pair of hands could do the same job as the $400 machine. Behar's studio Fuseproject partnered with San Francisco start-up Juicero to design the Nespresso-style countertop juicers, which use pre-packaged sachets of fruit and vegetables. The machine retails for $400 (£310) and proprietary juice packs for $5-8 (£4-6) each. However, the derision of Twitter has descended on Juicero following the publication of a Bloomberg Business article that highlights the juicer's limited functionality, complete with a video that shows its juice packets being squeezed by hand. Hands are even more effective in the case of expired juice packets, which the Wi-Fi-enabled Juicero will automatically reject, having scanned the bag's QR code. The juicer is not designed to process fresh fruit or vegetables from the supermarket. The Bloomberg article refers to investor dismay at the final product, saying "Two backers said the final device was bulkier than what was originally pitched and that they were puzzled to find that customers could achieve similar results without it." High-profile investors in Juicero included Google parent company Alphabet. The start-up raised $120 million (£94 million) before launching the machine last year, initially with a higher price tag of $700 (£550). On Twitter, users interpreted the Juicero story as emblematic of the worst of Silicon Valley, which is sometimes criticised for being out of touch and blinded by its own hype. Fuseproject worked with Juicero for two years to design the machine, which was released in 2016. Packets of washed and chopped ingredients are loaded into the front of the juicer, through a door made of aircraft-grade aluminium. 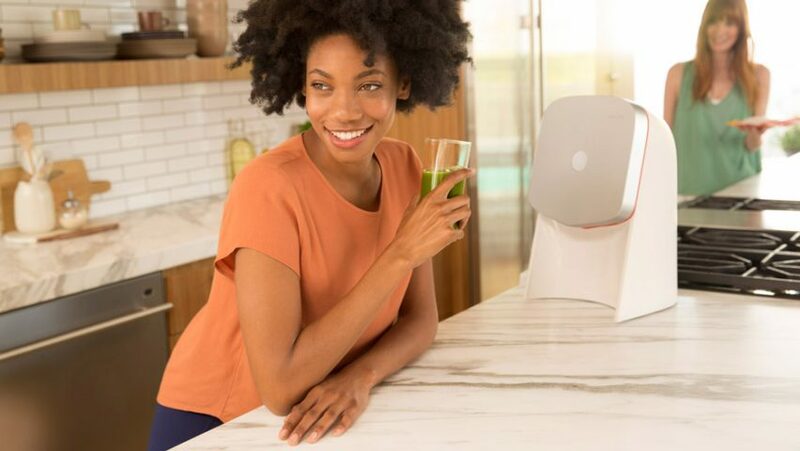 "Juicero is the first company to make cold-pressed juice something that people can make themselves at home," Behar told Dezeen at the time of its launch. "The challenges to design and engineer a press that can deliver 8,000 pounds of force are tremendous." The sachets are recyclable and, according to Behar, can also be returned to the company, aiming to avoid the sustainability criticisms that Nespresso has faced over its single-use coffee pods. Behar is one of the leading industrial designers for new technologies. He ranked 26th among designers on Dezeen Hot List in 2016. Among his most recent designs is a Samsung television designed to be indistinguishable from a work of art, and a security robot with a friendly, non-threatening appearance. Behar is yet to reply to a request for comment about the Juicero.